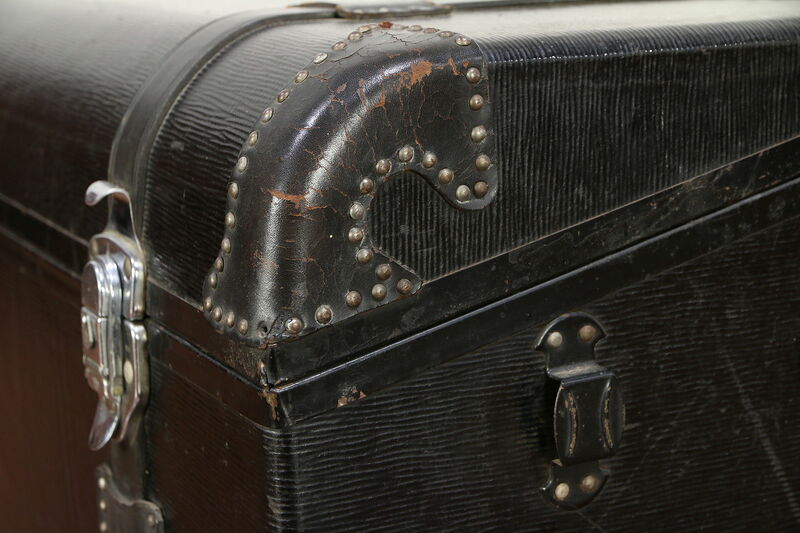 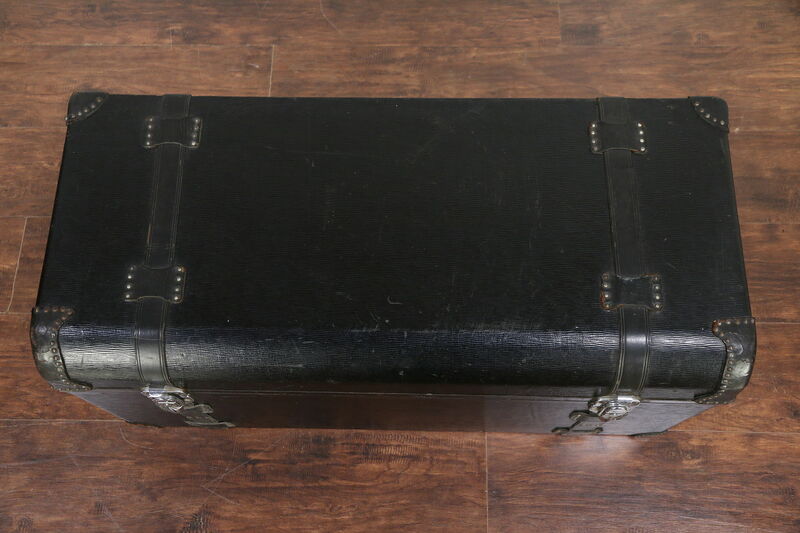 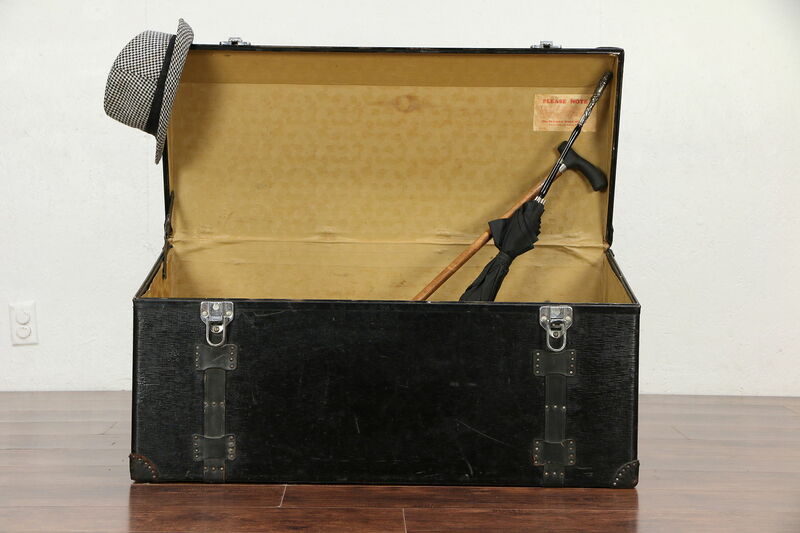 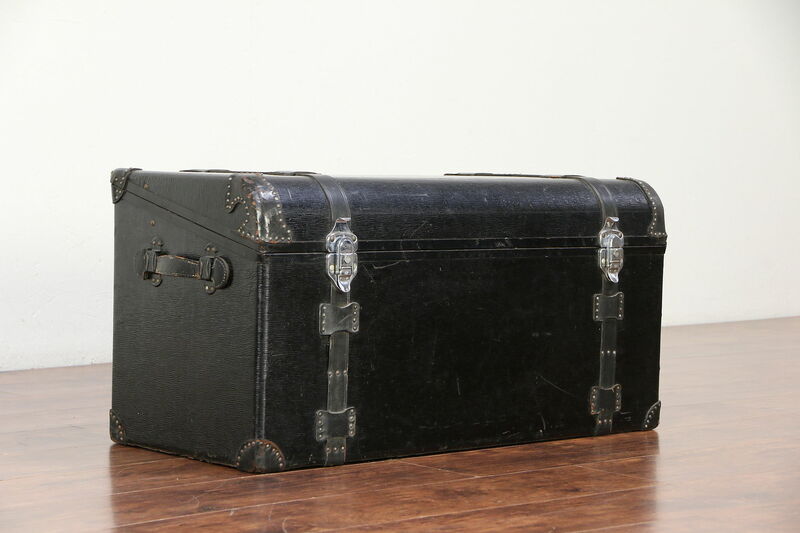 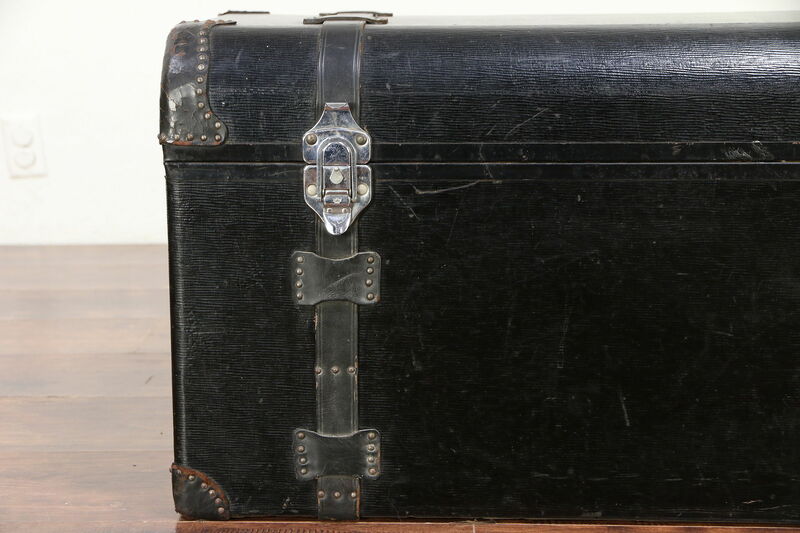 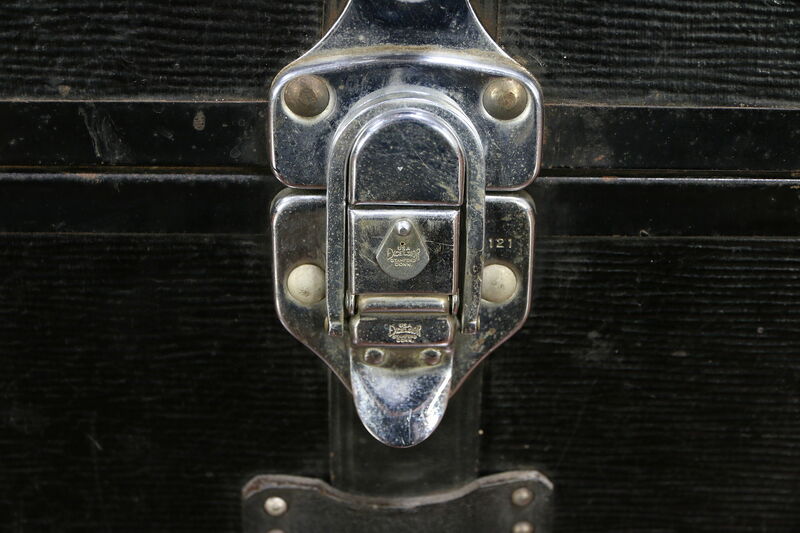 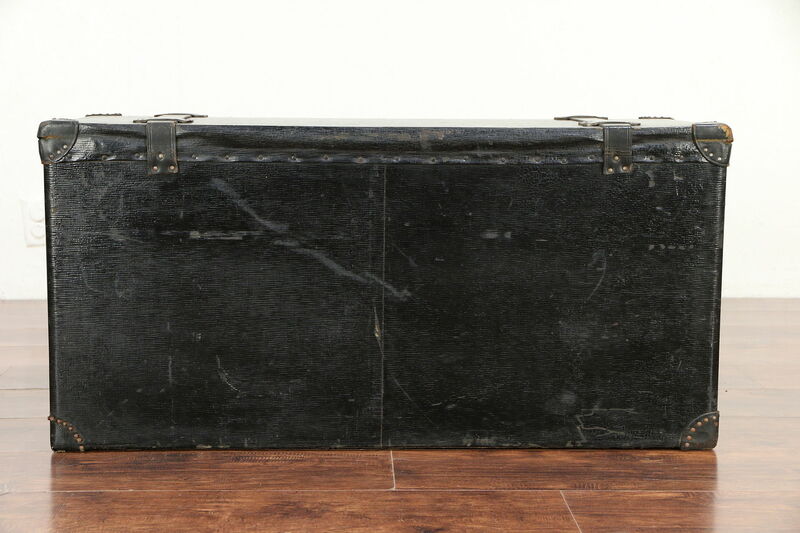 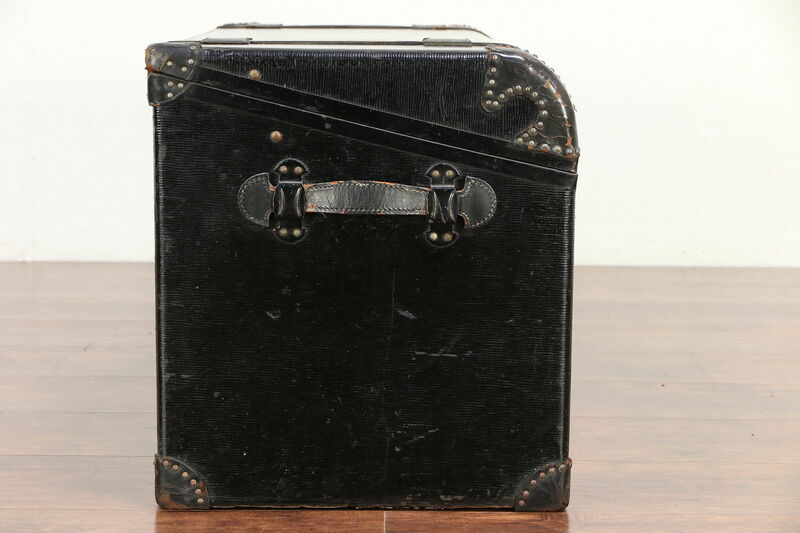 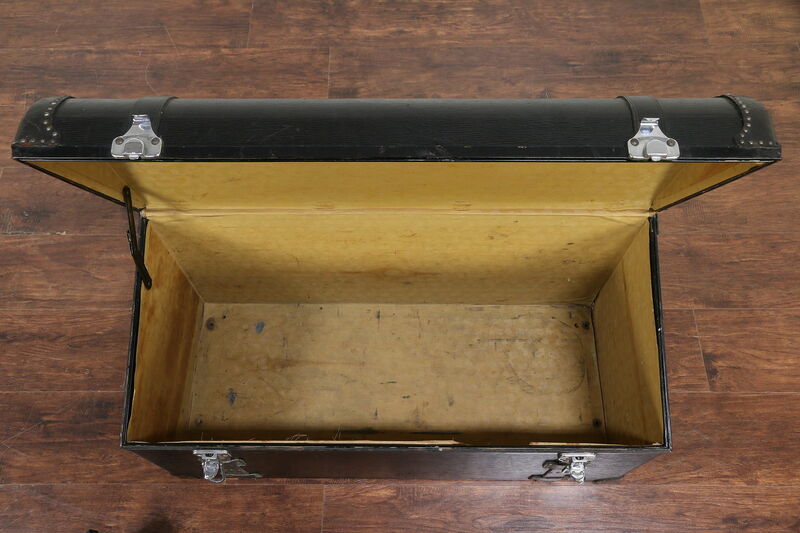 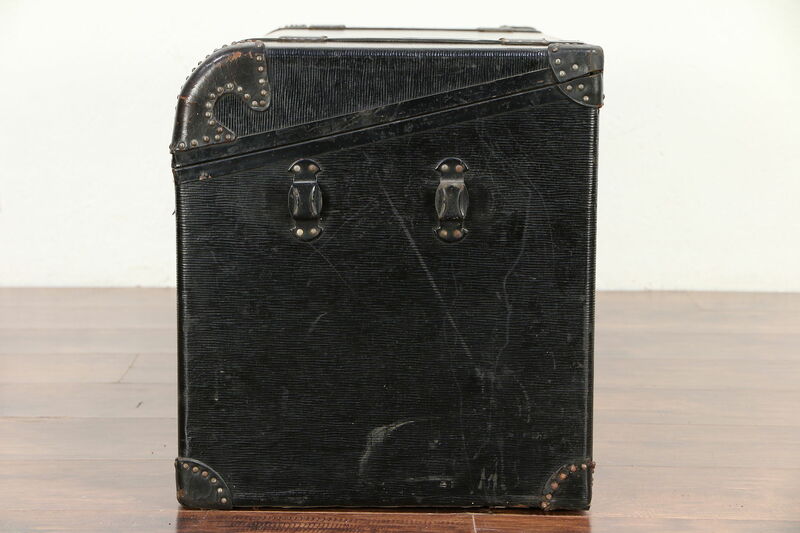 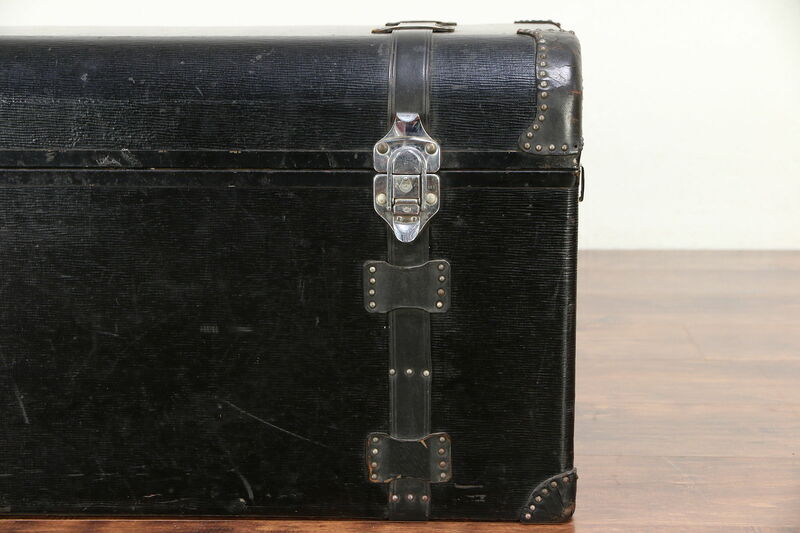 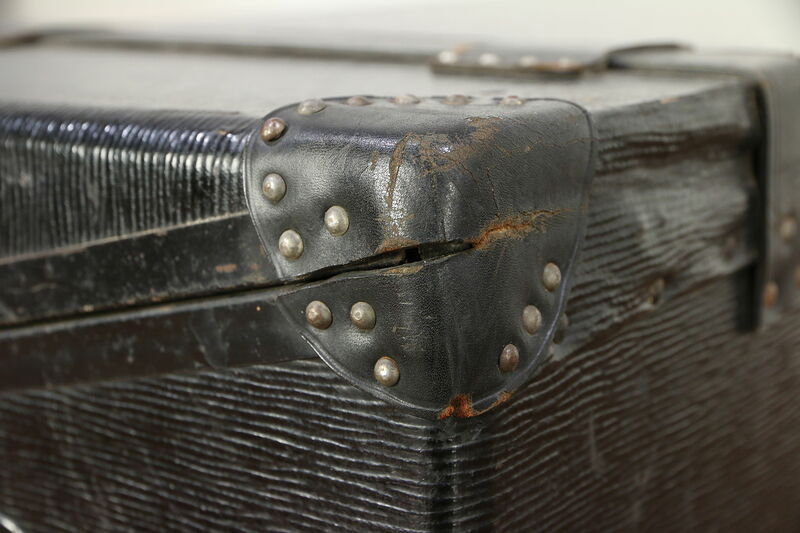 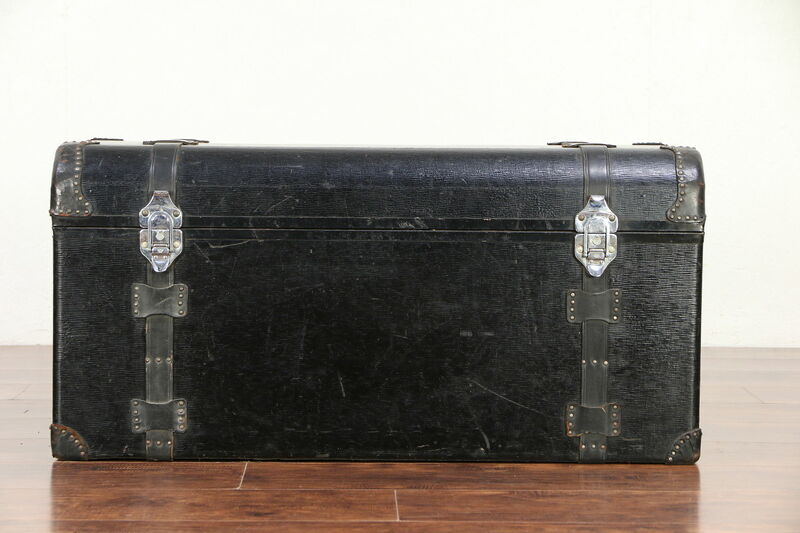 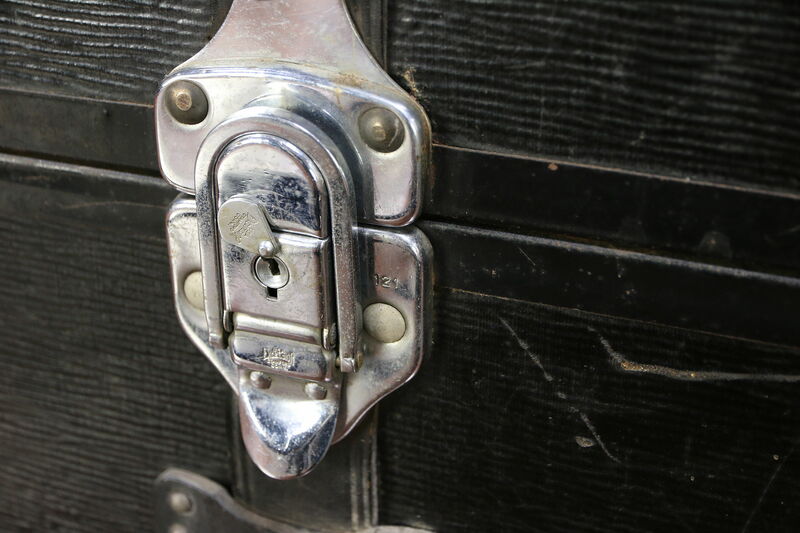 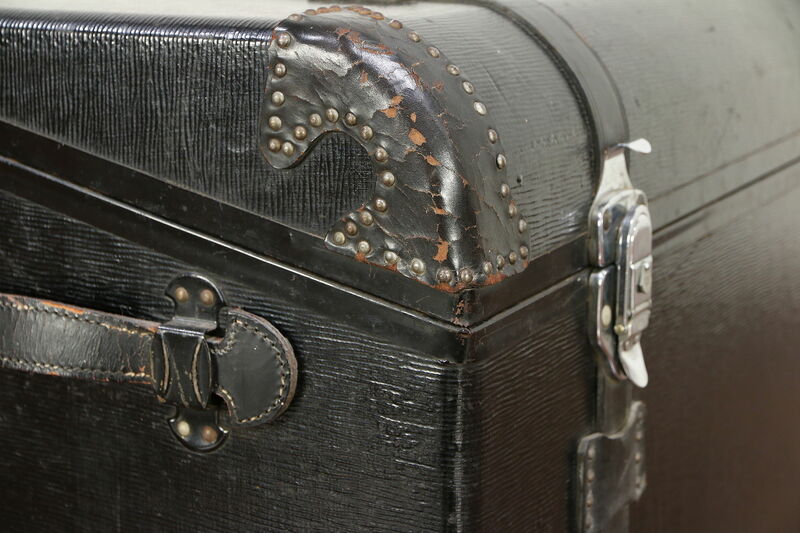 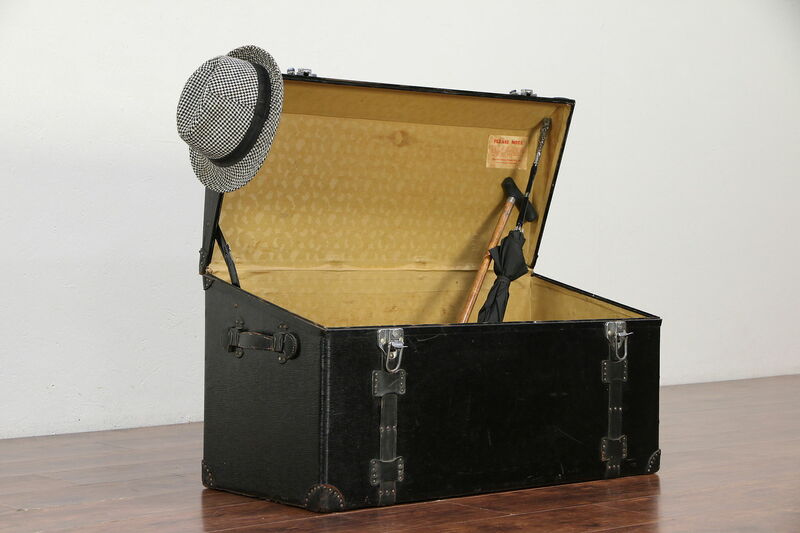 A detachable trunk is from a 1920's automobile, and has original leather and nickel mounts. 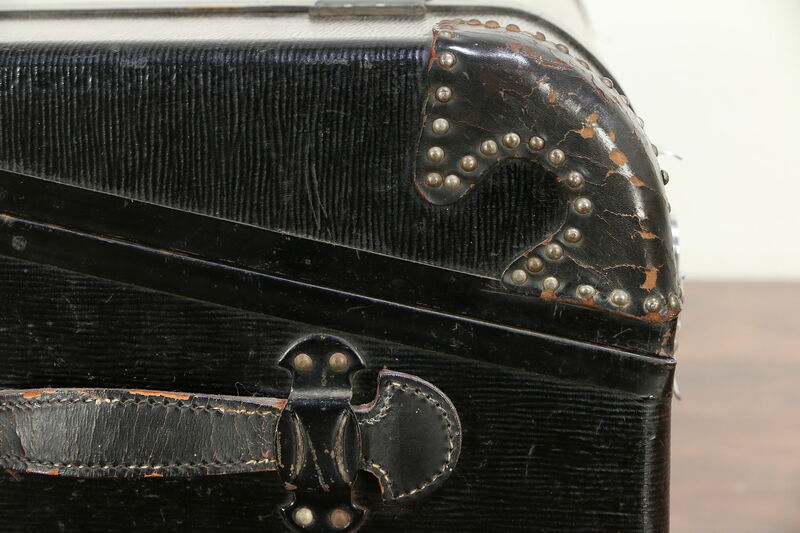 The interior lining is stained and the handle is missing from one end. 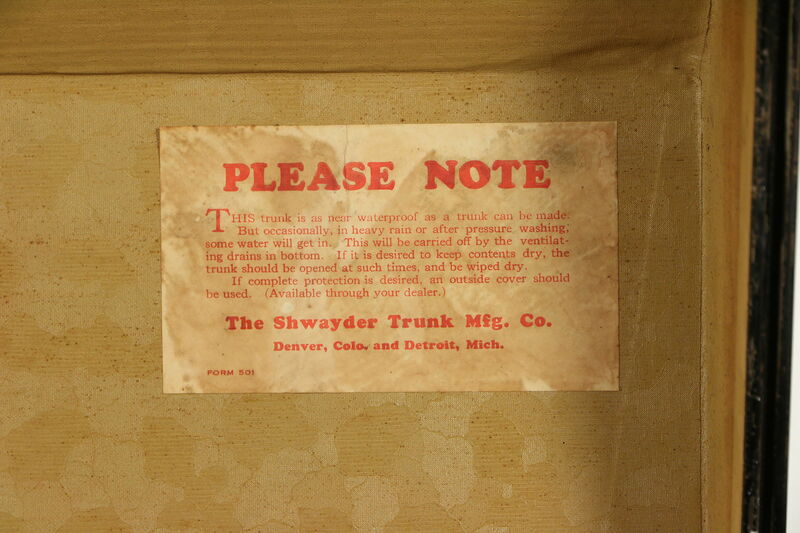 American made, this automotive antique is very well preserved. 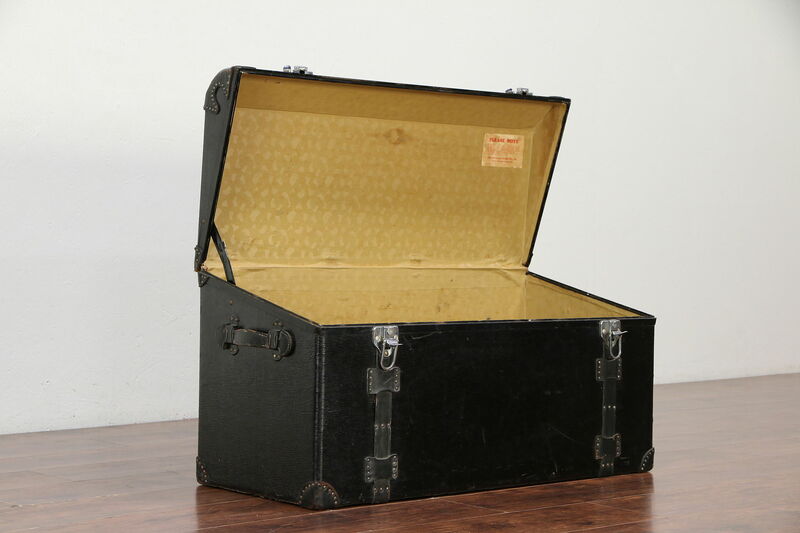 Measurements are 37" wide, 16" deep and 18" tall.